The People’s Democratic Party (PDP) is conducting its second party convention at the National Resource Development Corporation Limited, conference hall. The convention today will be electing a party president and introducing the two appointed candidates, General Secretary, Yogesh Tamang and the Youth Coordinator, Sonam Wangyel. Although, the party has already appointed them, it will be made official to the party members and supporters today. The convention will also be discussing the amendments to be made in the party’s charter including the approval of the executive board. According to a reliable source, there is a high probability that Opposition Leader, Tshering Tobgay is going to be appointed from among the other nominees, as a Party President since he is considered to be an effective and active opposition leader. 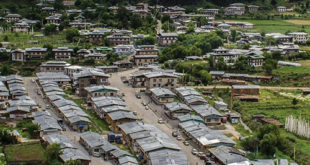 This could put to rest speculation for now that the former minister, Lyonpo Sangay Ngedup would be returning to the political fold by leading the PDP in the 2013 elections. “From this convention, we expect to seek endorsements from the party members,” said the Secretary General. 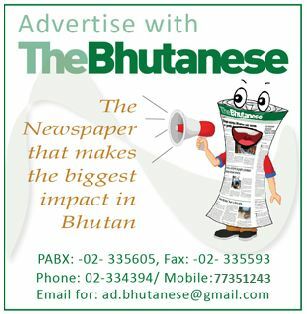 The convention, according to the Secretary General, will conduct elections using the Electronic Voting Machine which has been provided by the Election Commission of Bhutan. With this convention, the PDP will be kicking off a fresh new start in the run for the 2013 elections. Around 250 to 300 prospective candidates, party workers and tshogpas will be attending the meet. The PDP became the first registered political party on August 6, 2007, after formally submitting its application for registration. 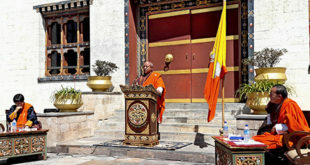 It also began its race in the political fray much earlier as compared to the Druk Phuensum Tshogpa, but, managed to secure just two seats in the National Assembly in the March 2008 elections. The reason then ascribed for their defeat was a host of factors like over enthusiastic campaigning, uncertainty over democracy, unpopular local government figures as party members, strong DPT leadership, and a failure to connect with farmers, civil servants and businessmen. The PDP had its first party convention sometime in 2008. I think PDP is a dead party without Lyonpo Sangay Nyedup. I doubt opposition leader is a capable and has a leadership qualities but somehow the people, the educated lots do not like him. I can guarantee the PDP will lose badly in 2013 if opposition leader is the party president for PDP. Lyonpo Tshering Tobgay has displayed his leadership qualities and he is found capable of leading the party. He understands the plight of common Bhutanese better and I have no hasitation in his political craftmaship except that he is not swayed away by regional politicking. We need Lyanpo Sangay Nidup in PDP.